San Diego’s Comic-Con 2014 has presented the nation with some pretty amazing things so far (like Wonder Woman's costume! 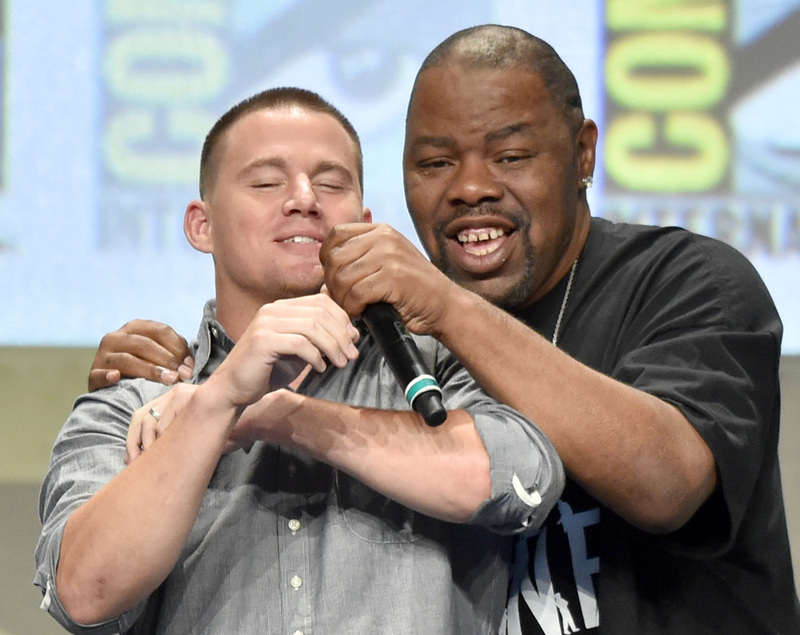 ), but this, by far, has to be the greatest bit to come from the event: Video footage of an adorable duet featuring Channing Tatum and Biz Markie singing the latter's 1989 hit song "Just a Friend" has made it's way onto the web and, unsurprisingly, it's amazing. In fact, it’s everything you didn't know you wanted. The duo was present at the panel for the upcoming animated movie The Book Of Life, which stars Channing Tatum, Zoe Saldana, and Diego Luna. During the movie’s official trailer, Biz Markie’s song, Just A Friend is heard at the end being played by three members of a mariachi band as main character Manola attempts to woo his love, Maria. Biz Markie then surprised the fans with a performance of the upbeat song, that a very surprised and overjoyed Tatum soon joined in on. Which is to say, the cast got up from their seats to start dancing to the performance, then when Biz Markie placed the mic in front of Tatum, he began singing along and we all had the opportunity to hear Tatum's near angelic musical stylings. If there was ever a time to cry tears of joy, it would be right now. I only wish that Tatum had been able to sing a bit longer, but for now I guess that will have to do. At least now we know how multi-talented the actor truly is — and I don't know about you, but I’ll just be over here praying for a Channing Tatum album to come out soon.